Habit Burger just opened in my hometown of Alameda, CA so we tried out its signature hamburger, side dishes, and shake. How was it? Read my full review with pictures after the jump. It's only been open a few days, but as soon as the doors opened at 11 this morning, and despite the rain, several people (including my wife and I) were in line and ready to eat. 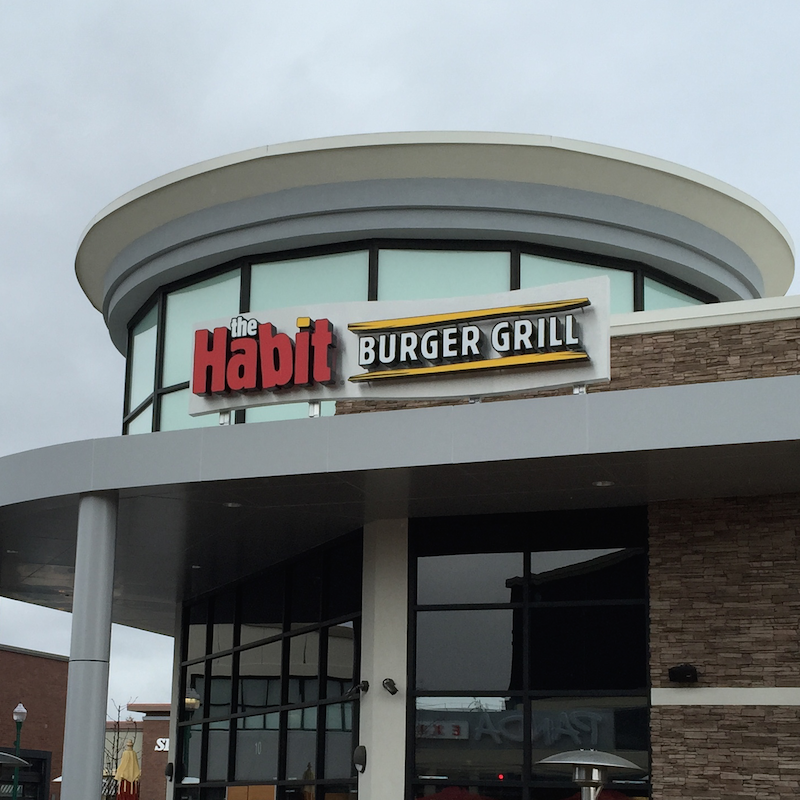 We were excited to try Habit Burger after seeing it on Bloomberg TV when it went public with a stock offering. I've also read about it on a few blogs I follow including Grub Street. The Habit Burger Grill is one of many new "casual fast food" burger joints such as Shake Shack which offer a tastier and more natural alternative to traditional fast food hamburgers such as McDonald's. 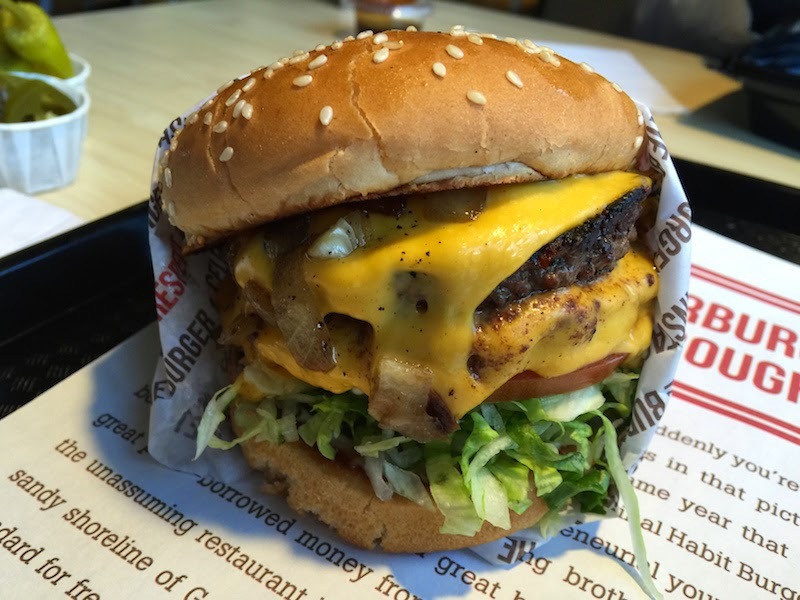 Started in 1969 in Goleta, California (near Santa Barbara), Habit Burger just hit the big time with its stock offering last year. After placing your order, you get a buzzer so you can sit at a table until your meal is ready for you to pick up. There is a condiment bar with peppers, and several types of tea at the drink station including strawberry lemonade (very tart and refreshing -- it's nice to enjoy a less-sweet drink once in a while). I had the double charburger with cheese. The burgers are cooked over an open flame, and complimented with grilled onions, lettuce, tomato, and mayonnaise. The meat is seasoned nicely and the burger tastes cooked to order. Not quite as unique as a burger at Hodad's, but it's very good and in a completely different universe than McDonald's or Burger King. 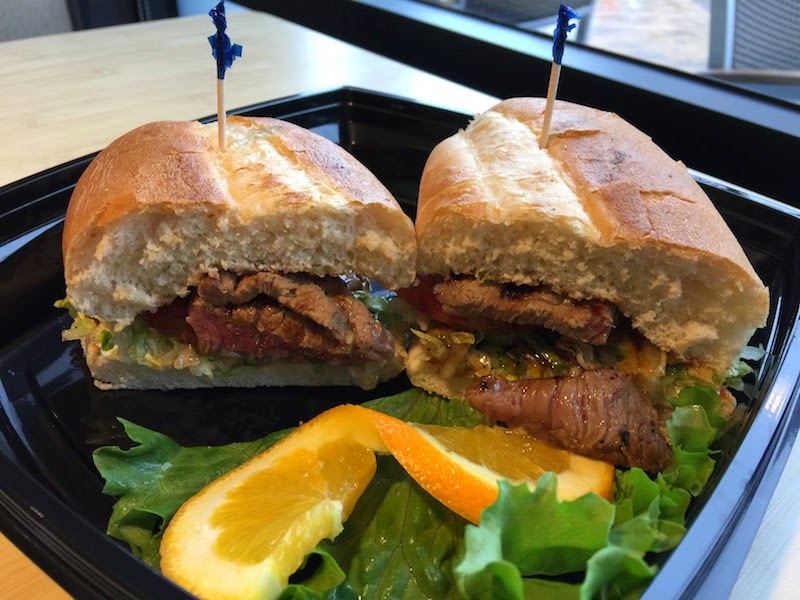 My wife had the tri-tip sandwich. She liked it a lot and appreciated it actually was a piece of steak rather than processed meat. 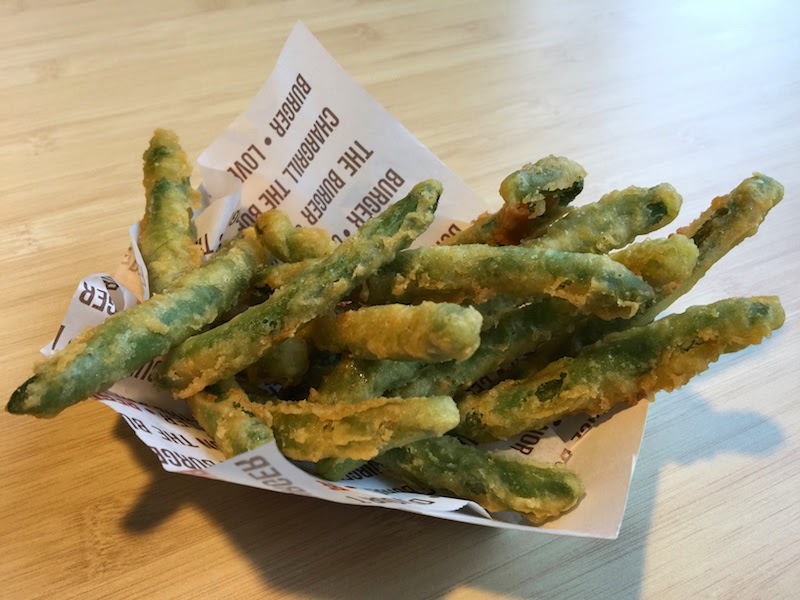 A unique side dish is the tempura green beans. These were excellent: crisp, fresh, and not greasy. 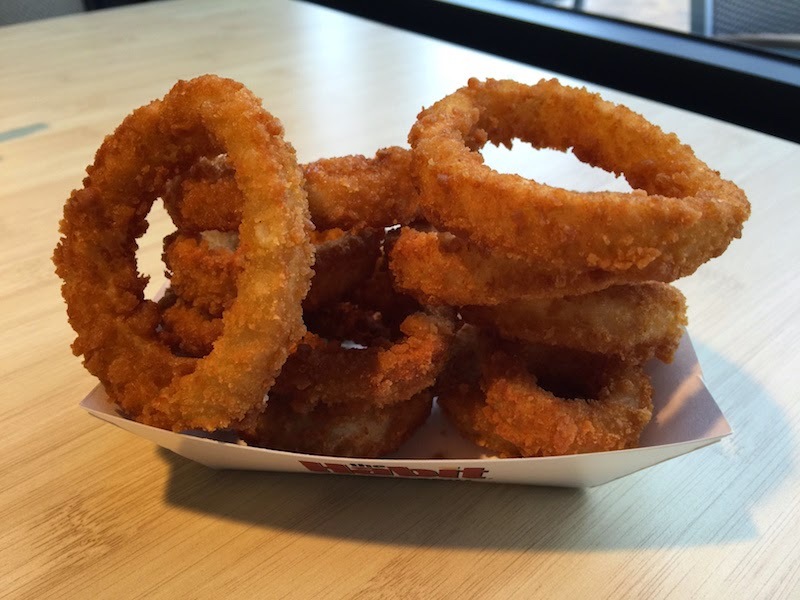 We also shared a side of onion rings. Again, delicious, crisp, and not greasy. As if I hadn't had enough already, I had to try one of their shakes. They have the usual flavors, but also coffee which I tried. It was cold, thick, and full of coffee flavor. You can also get salads with chicken, and for the kids there is a grilled cheese sandwich. It's not all about the fresh ingredients and taste. 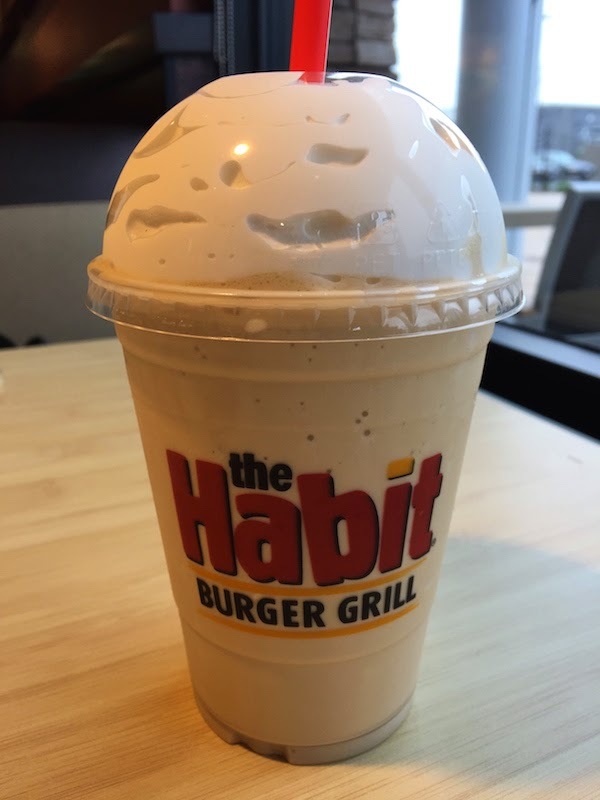 Part of what Habit Burger offers is better service than a traditional fast food place. One of the staff visited us during our meal to ask how we liked it. Welcome to Alameda, Habit Burger!